Complete the form below to create a new account for HSS 2018. Once your account is set up, you will be able to submit abstracts, find potentional collaborators, view and download the meeting program (when it becomes available), and keep apprised of meeting information. Please note that meeting registration, which will also be completed through this site, is not yet open. When registration does open (sometime in August 2018), we will notify all potential attendees. The account to be created below for the 2018 meeting is wholly separate and different from your History of Science Society membership. 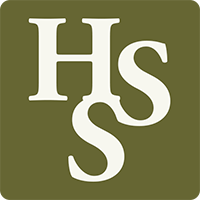 Your HSS membership credentials will not work; you must create a new account. Did you create an account already? Request a password reset. All demographic fields are optional. HSS requests this information to better understand and serve the profession. The Society often uses this information to secure grants, plan meetings, and determine future programs. Is this your first HSS meeting?